In last one month Pakistan has lost its several Big Actors and Comedians like Babu Baral, Liaquat Soldier and Mastana and latest shocking news is that another famous Pakistani Actor Moin Akhtar has also died few minutes ago. According to Geo News report Moin Akhtar has died due to Heart Problem. Moin Akhtar was facing Heart disease from a long time. He was shifted to Hospital earlier today due to heart pain but he died in few hours of pain. 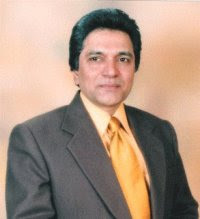 Moin Akhtar is the fourth big Pakistani Actor and Comedian who has died within one month. He worked in many TV Serials and TV Programs.